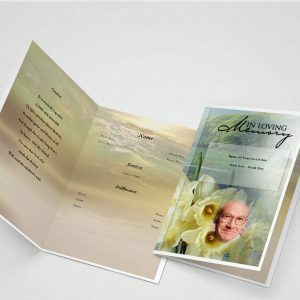 Catholic funeral programs are geared and created specifically for the Catholic mass funeral service. 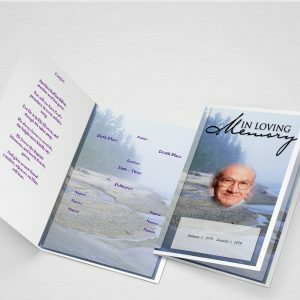 This program or bulletin is used to place the mass order of service, obituary of a deceased family member, and scripture readings. 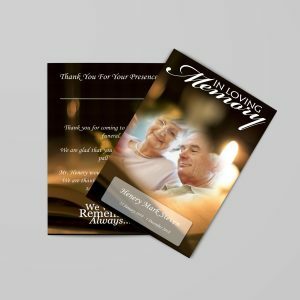 The Catholic mass tends to be formal in nature and therefore its important to have a program to distribute to attendees for guidance. 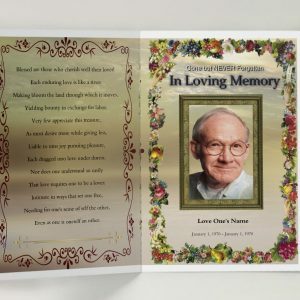 Funeral program designs for this denomination can have a variety of different covers some of which may contain the Blessed Mother, Saints, Jesus and the cross, or simply a fancy inscription of “In Loving Memory.” Most families note the church name, address, date and time of the funeral service and pastor who is officiating the mass directly on the front cover, if space permits. 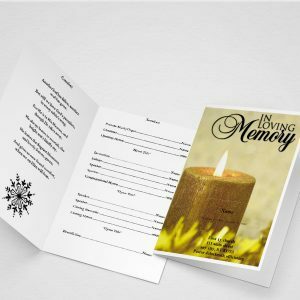 The programs are distributed before the mass and left by the guest book at the entrance of the church or by a family member of friend who is handing them out to each arriving guest. 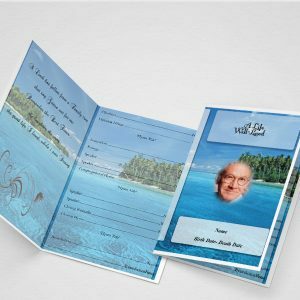 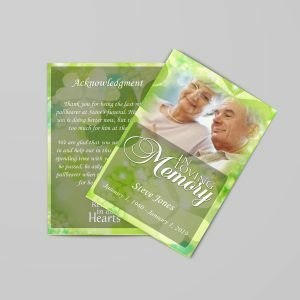 You may choose to provide one per family or to each person, depending on the amount of programs you had printed. 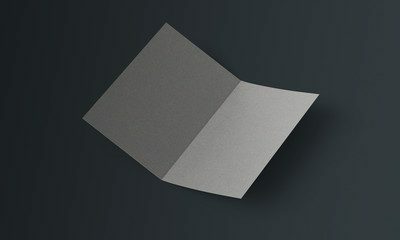 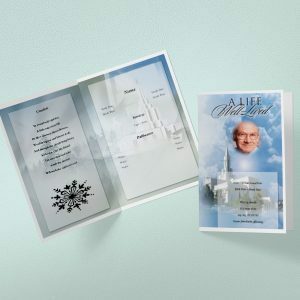 Typically, the Catholic funeral programs is one sheet of letter size paper folded in half, in a bifold presentation. 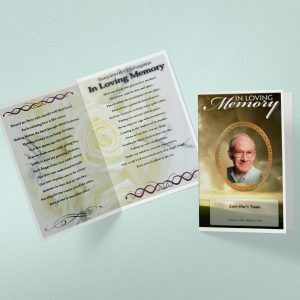 There are four sides or panels that will house the information of the deceased or service. 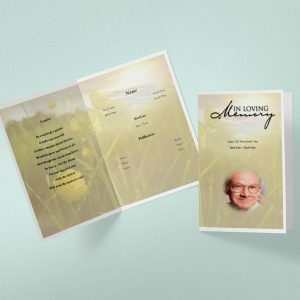 This is the traditional type of program distributed for the funeral mass however, you can choose to go with a trifold program or even graduated fold. 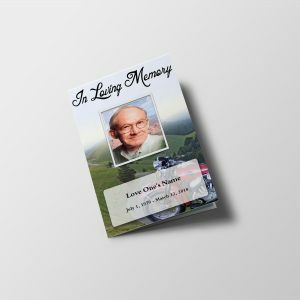 The important thing is to have one made so it can serve as a guide for everyone.